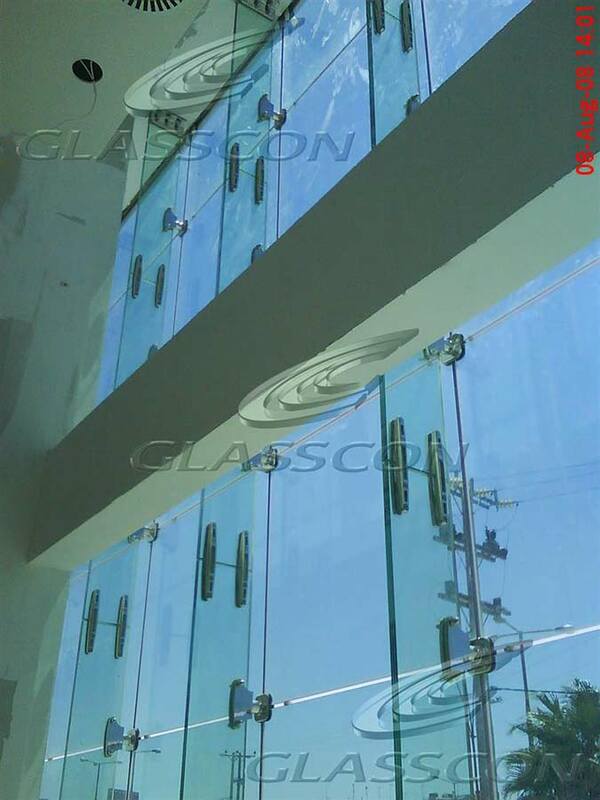 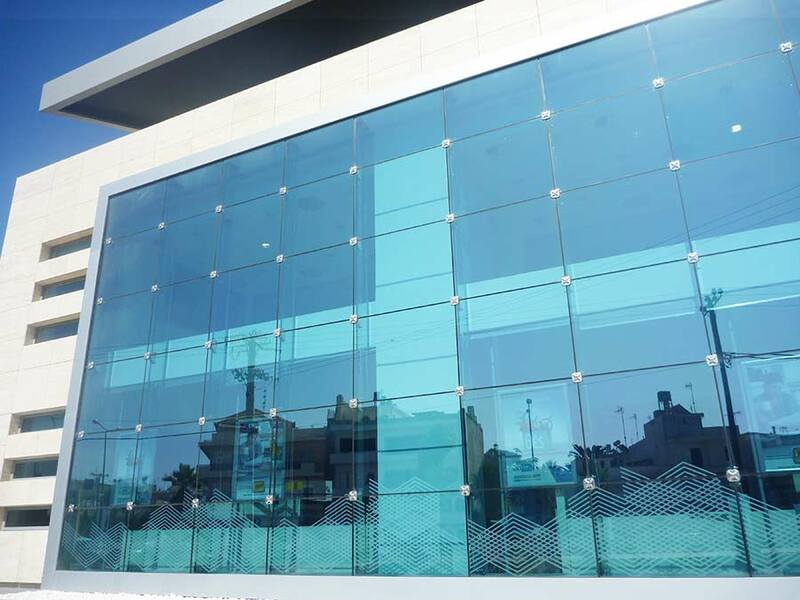 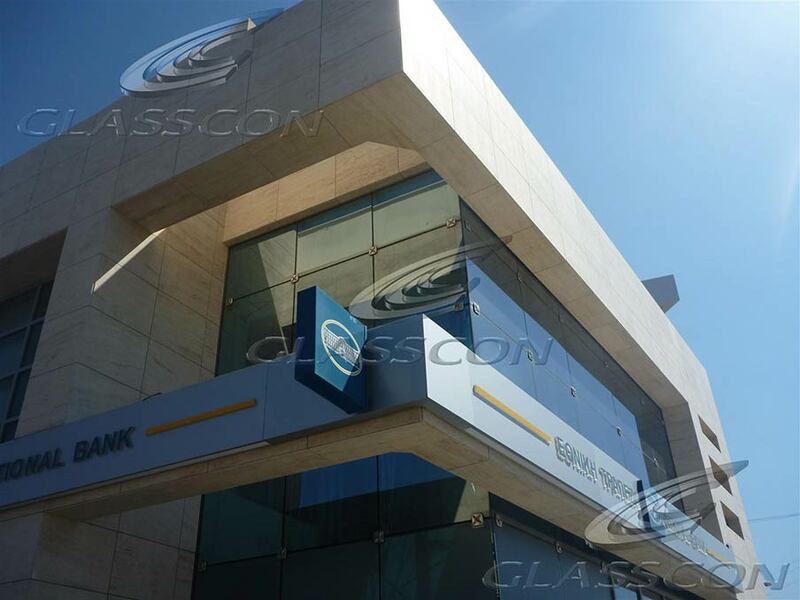 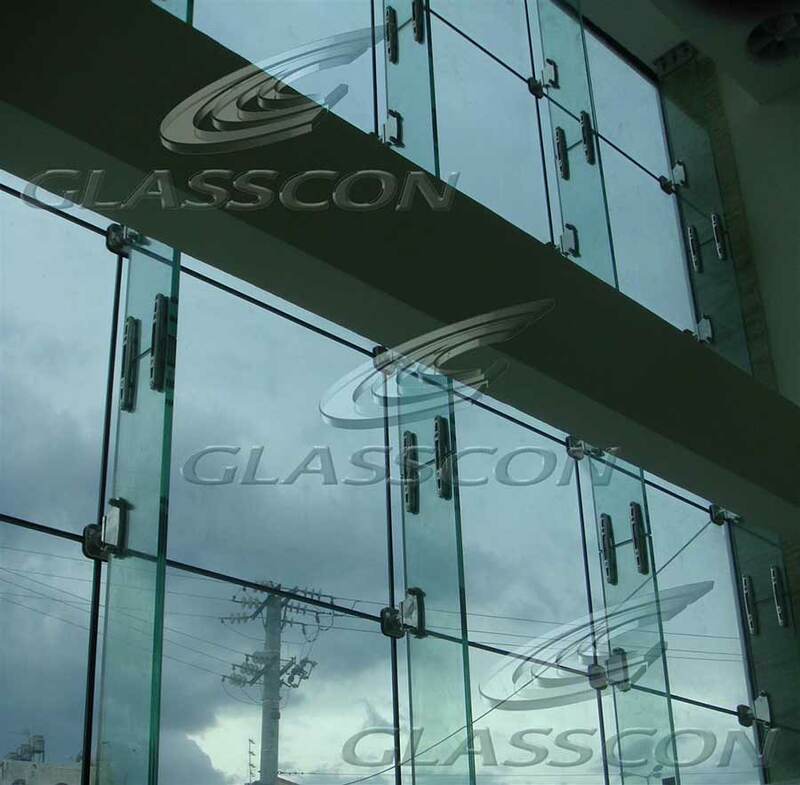 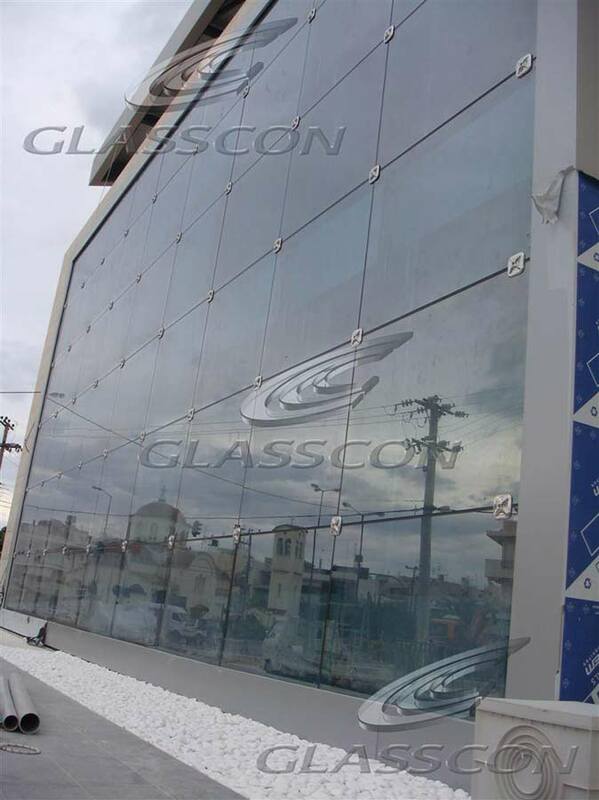 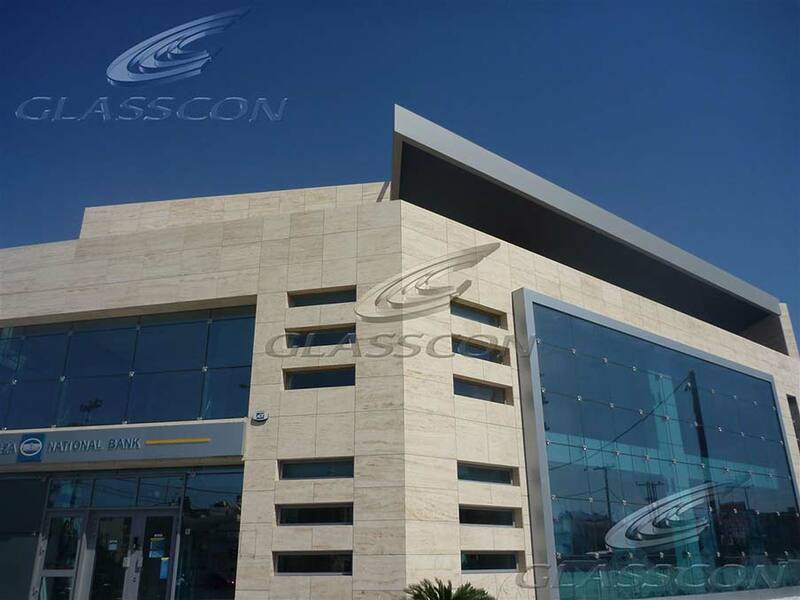 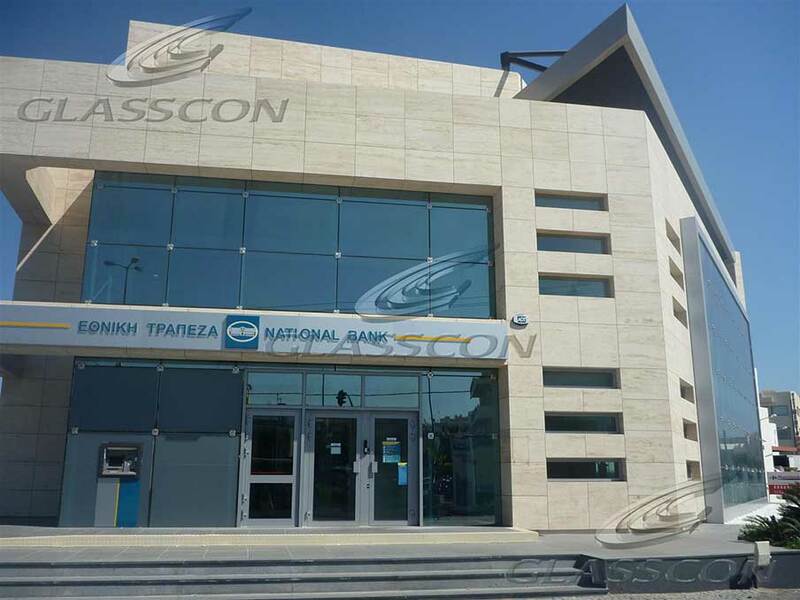 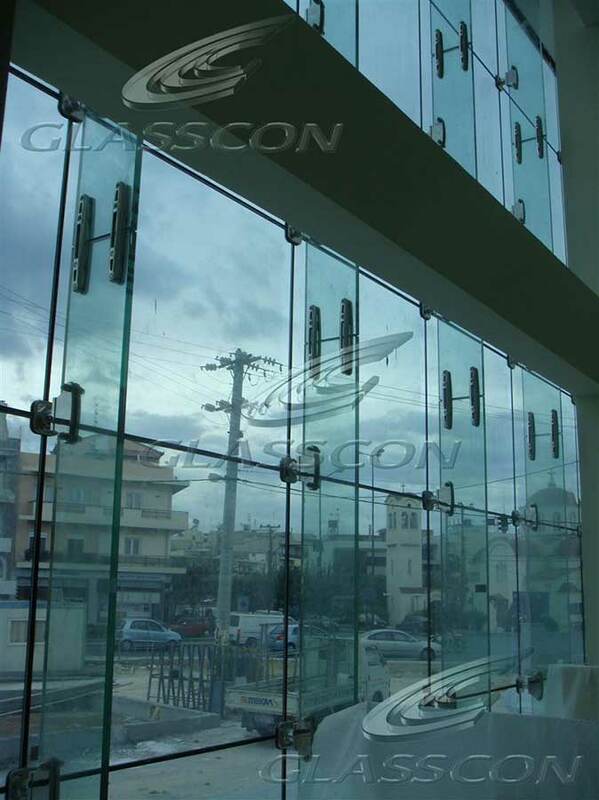 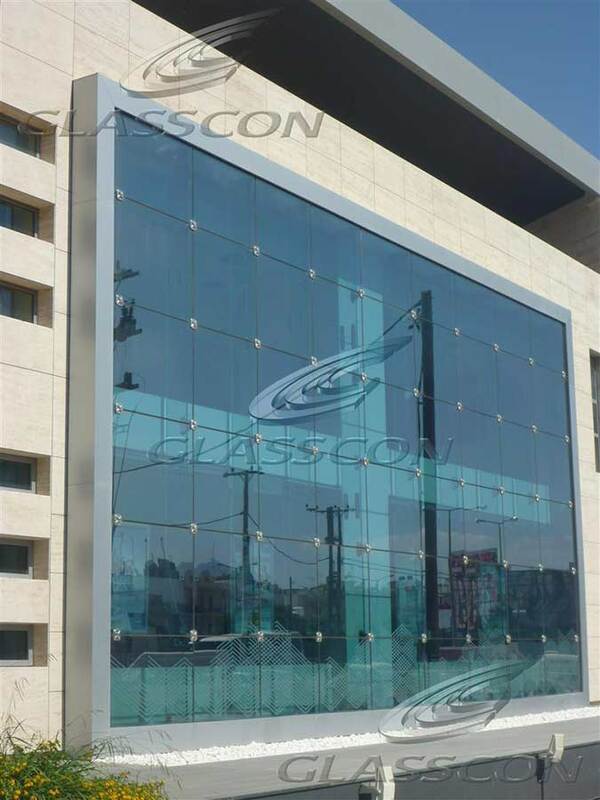 GLASSCON designed and constructed a spider glass curtain wall with 15m high STRUCTURAL GLASS FINS (structural glass), with bulletproof glass panels, for a bank branch. 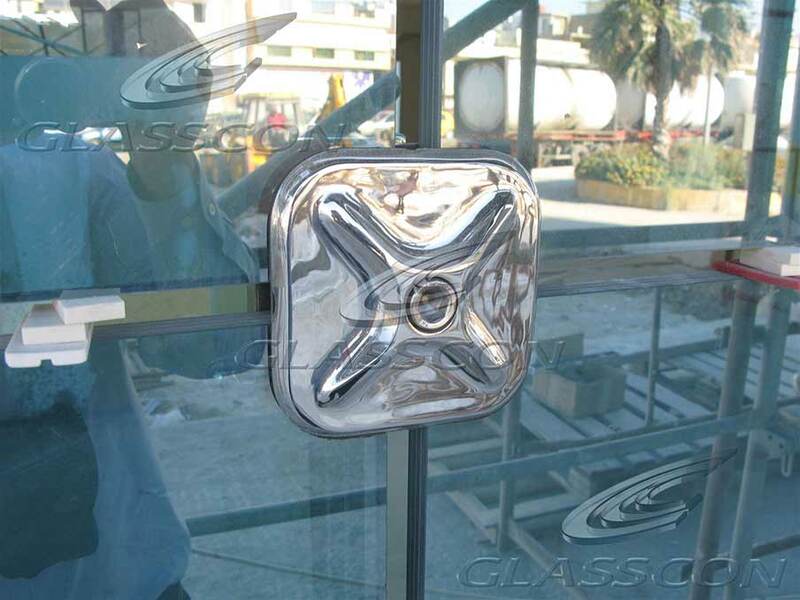 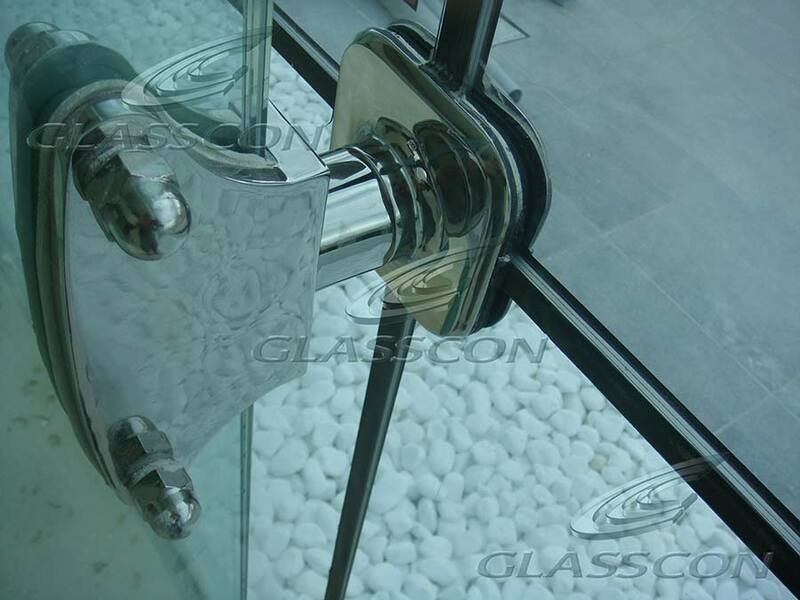 The glass panels are supported on the glass fins through mirror polished stainless steel fittings. 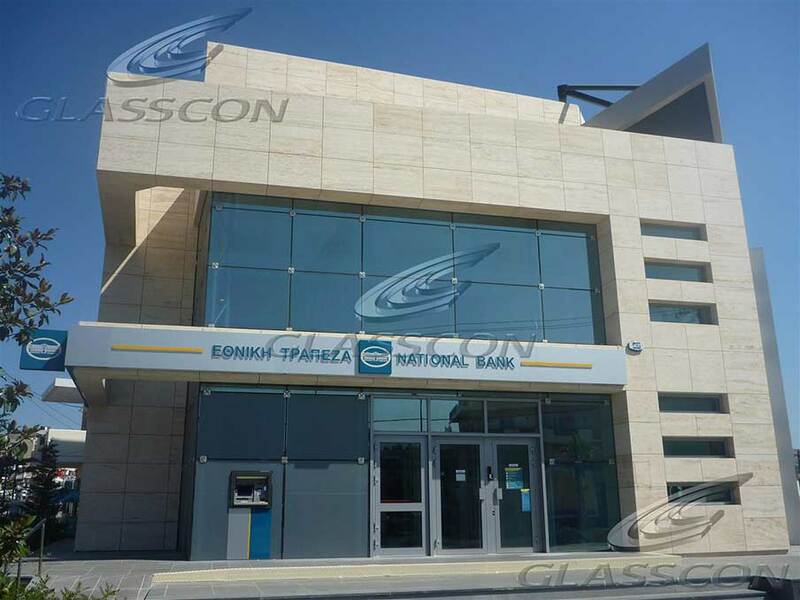 GLASSCON designed and constructed the glass facades of a new bank.The curtain walls have been constructed with bulletproof glass panels and supported through glass fins Glasscon offers from one hand glass mullion system, glass fins, spider glass fin, shelf suspended glass, glass fin walls, structural glass, spider glass walls, spider glass, spider glass curtain wall, spider glass curtain walls, point fixed glazing, spider glazing, suspended glass walls, glass casting parts, frameless glass curtain walls, glass routels, glass spiders, suspended spider glass, spider fittings, glass fittings, glass walls, frameless glass, structural glass system.